Tal Wilkenfeld, last year’s #1 player on No Treble had a less busy year in 2011, but still made the top ten list. The always popular bassist wowed readers with her live performance with Ben Harper and Jackson Browne of “Steal My Kisses“, as well as another live performance with Jeff Beck and Jimmy Page, playing a medley of “Bolero”, “Immigrant Song” and “Peter Gunn”. News of Tal getting back into the studio was welcome news to No Treble readers. And of course, the video featuring BassGirl playing her transcription of Tal’s bass line and solo to Jeff Beck’s “Cause We’ve Ended As Lovers” was the #1 video on No Treble for 2011. 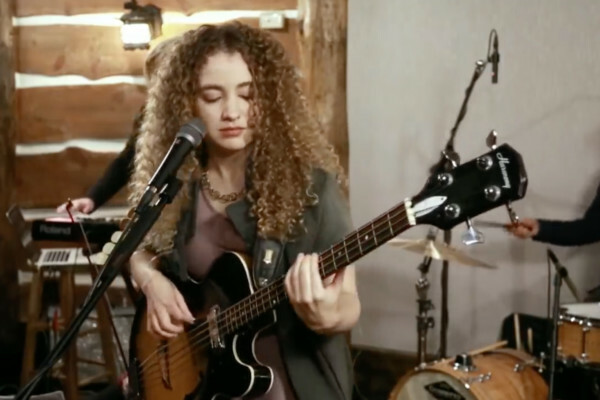 Check out our complete Tal Wilkenfeld archive. This clip is from the Rock & Roll Hall of Fame performance by Jeff Beck, along with Beck’s band (at the time), bassist Tal Wilkenfeld, drummer Vinnie Colaiuta and keyboardist Jason Rebello. Jimmy Page joins the band for the group’s performance of Led Zeppelin’s “Immigrant Song”. Taken from the Performing This Week… Live at Ronnie Scott’s DVD, here’s Jeff Beck, Tal Wilkenfeld (bass), Vinnie Colaiuta (drums) and Jason Rebello (keys) performing Beck’s “Big Block”. Here’s a pretty good video of Herbie Hancock’s newest line-up, shot from a member of the audience at the Montreux Jazz Festival last month. 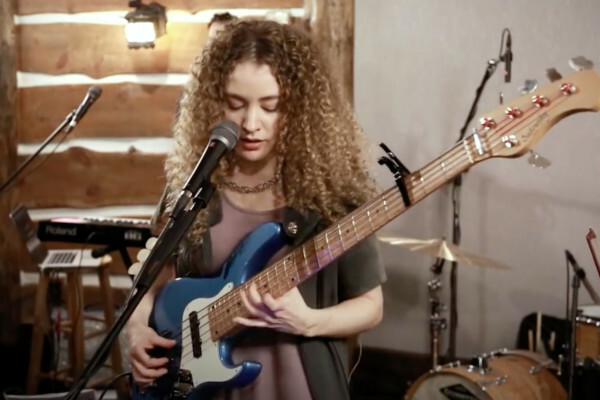 The band is performing a classic from Herbie’s extensive library, “Chameleon”, with Tal Wilkenfeld holding down the low end and even helping Herbie with some equipment issues.